Effective conservation of forest biodiversity and effective forest restoration are two of the biggest challenges facing forest managers globally. I present four general principles to guide strategies aimed at meeting these challenges: (1) protect and restore populations of key species and their habitats, (2) conserve and restore key attributes of stand structural complexity, (3) maintain and restore natural patterns of landscape heterogeneity, and (4) maintain and restore key ecological processes. The complexity associated with these principles is that how they will be practically implemented on the ground will invariably be ecosystem specific as what constitutes stand structural complexity or landscape heterogeneity will vary between ecosystems. Here I demonstrate the practical application of the four general principles in a detailed case study of conservation and restoration in the Mountain Ash (Eucalyptus regnans) forests of the Central Highlands of Victoria, south-eastern Australia. These forests are characterized by declining species, loss of key elements of stand structural, loss of old growth forest, altered patterns of landscape heterogeneity, and altered ecosystem processes. 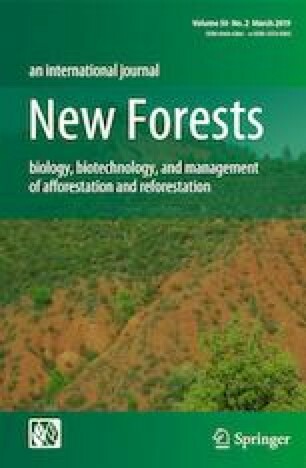 I highlight how altered management practices in Mountain Ash forests that are guided by our four general principles can help conserve existing biodiversity and underpin effective forest restoration. Consideration of our general principles also can identify policy deficiencies that need to be addressed to enhance restoration and biodiversity conservation. The content of this paper is informed by 34 years of extensive and intensive research in the Mountain Ash forests of the Central Highlands of Victoria. Key people who have played major roles in that work include Dave Blair, Lachlan McBurney, Sam Banks, Ross Cunningham, Wade Blanchard, Jeff Wood, Emma Burns, John Stein, Heather Keith, Michael Vardon, Gene Likens, Jerry Franklin, Richard Hobbs, Mason Crane, Chris MacGregor, and Damian Michael. Tabitha Boyer assisted in manuscript preparation. Magnus Löf is thanked for encouraging us to present this work and complete this article. Funding was provided by National Environmental Science Program Threatened Species Recovery Hub.